It’s free in the App Store (apple). I tried it out for a few days and ended up “unlocking” it for $1.99 (sale price). 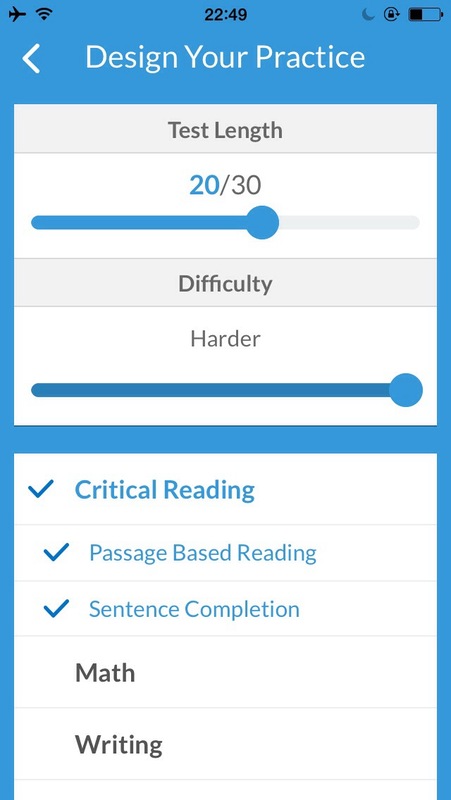 You basically set up your profile and choose how you want to practice by subject (math/critical reading/writing), the # of questions per practice, (and difficulty if you unlock it). 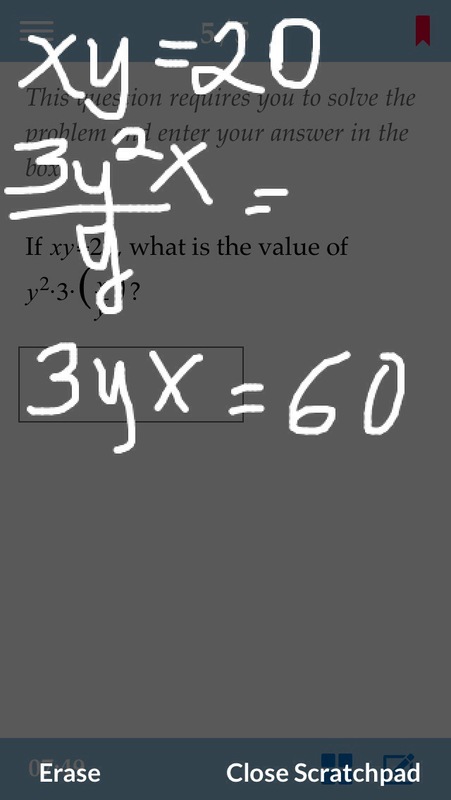 There’s an onscreen scratchpad and calculator so you don’t need to grab anything. Multiple choice/short answer questions have solutions. 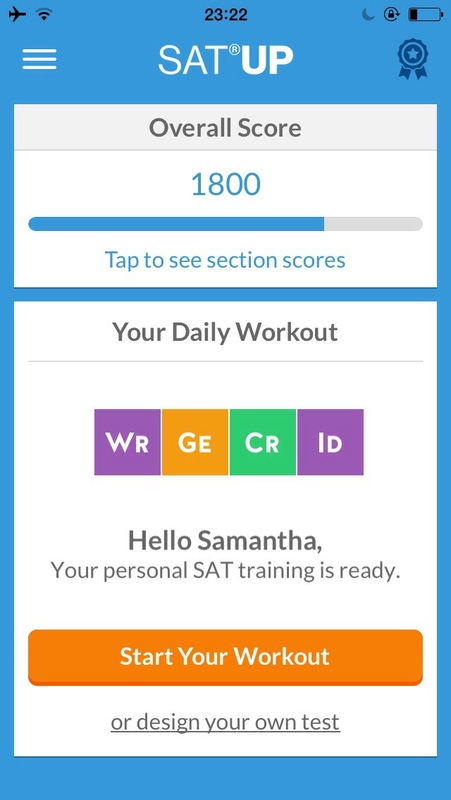 The app tracks your progress & sections of subjects you should focus on improving.